Introducing Better Blinds in West Chester, PA, a window treatment service center now available at our showroom. When you’re looking to update your interior with décor that’s as functional as it is attractive, visit the area’s most recommended showroom. We offer top-quality Hunter Douglas products, one of the industry’s most trusted brands. Make us your source for custom shutters, drapes, and more--you won’t be disappointed. At Bob Wagner’s Flooring America, you’ll always have courteous service and cost-effective prices. We offer installation by qualified professionals for our residential and commercial customers. Turn to us for beautiful window treatments that are properly installed for many years of reliable performance. Our motto is Better Products, Better Prices, Better Service. We’re ready to show you what makes us the area’s premier source for window treatments. Let’s get started on your upgraded blinds and shutters today. We offer installation by qualified professionals for both residential and commercial customers to provide years of reliable performance. Our motto is Better Products, Better Prices, Better Service, and you’ll see that in action when you visit us. We believe that receiving industry-leading products should be a pleasant experience and that your satisfaction always comes first. Once you’re ready to shop for window treatments, we bring samples right to your home for you to review and select. There is no pressure and no need to leave the comfort of your couch. Though we encourage shopping around, we’re confident our knowledge and service can earn your business for a long time. We have years of experience installing windows of all shapes and sizes, making our skilled professionals ready to overcome any challenge to fit your treatments. Since we take accurate measurements of your window’s shape and size, your treatments are installed correctly the first time. Being small and locally owned lets us work closely with you. 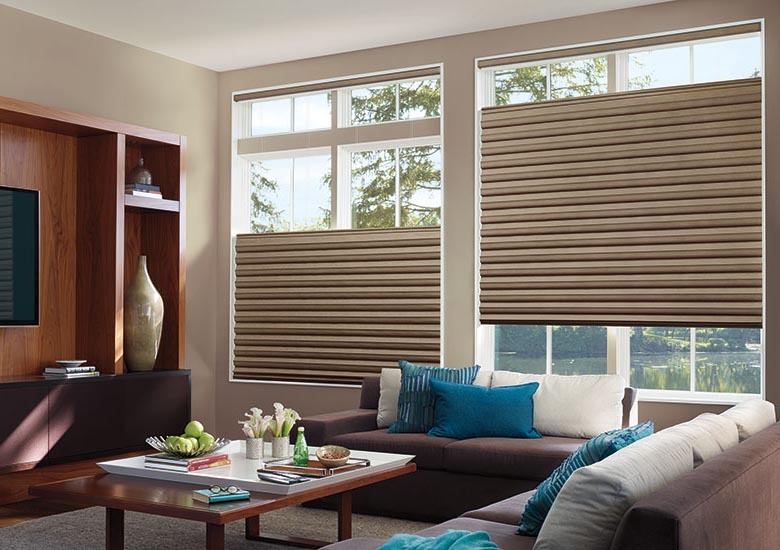 When you have a question about your blinds, you talk to us, not a corporate call center. Should you need something quickly, message us on Facebook, and you’ll hear from us fast. We want you to be confident in your selection. Contact us by phone, Facebook, or in person for information about our window treatments. Our business welcomes residents of West Chester, Malvern, Frazer, Newtown Square, and Glen Mills, Pennsylvania, and the nearby communities.